Article by Sarah Webb ©. Posted in Resources (Better Fiction Guides, Developing Your Craft, Getting Started). All children are different. Some are sporty. Others love acting or singing. Some like to dance. These children join sports clubs. They go to drama club, ballet class and take part in shows. But the children I’m interested in are the ones who love to use their imaginations. The readers, the daydreamers, the children who ask why, and what if, and who wonder at the world. They may also be sporty, or musical, or good at drama, but sometimes they are not. Creative children also need their talent nurtured and supported. They need to practice and develop their skills just as much as football players or musicians. Most of all they also need to be on a team, part of something bigger than just themselves. They need to find fellow young creatives, and that’s why I set up Story Crew Writing Clubs, to encourage, support and stretch young writers. Writing, drawing, and creating all help to build a child’s confidence and self-esteem. A recent Arts Council Survey showed that arts participation boosts children’s confidence, socio-economic well-being and academic skills. Writing is also fun – fun for children and fun for adults. It’s playing on the page. At school, teachers have a tough job. They have to cover the curriculum, build children’s vocabulary, teach them different forms of writing – fiction, lists, letters – and they do an amazing job. At Story Crew we focus on different things. Things like motivation – WHY a character acts in a certain way. What a character NEEDS as well as wants. We talk in depth about plot and the ‘story arc’, and about how to strengthen and edit our writing and make it more compelling for the reader. We write mystery stories, we work on settings and world building, we create islands and elaborate fantasy cities. We talk about novels we’ve read and why they work. Above all, we encourage the young writers to have fun with their writing, to play on the page, and to be themselves. Young writers are CONFIDENT. They believe they can write. They know they can create characters, put those characters in a story, give the story an ending. They are willing to try lots of different forms and genres, and they thrive on genre mash-ups – monster romances, space/animal stories, fantasy history tales. Young writers are PREPARED TO FAIL. If a story does not work, they simply start another one. They enter writing competitions with hope, but if they don’t win, they enter another competition. They understand that their writing is valuable even if it doesn’t get selected for a prize. Adults have a lot to learn from this – especially those facing the sting of submitting to a publisher and getting rejected. Rejection is part of every writer’s life. Writers of many years standing often have ideas or whole books turned down by their publishers. Not all ideas stick and some just aren’t suitable for the current book market. Over the years I’ve had many book ideas turned down but I’ve also had many accepted. The real writers keep going no matter what. Young writers are not afraid to THINK BIG. They set their stories in space, or a South American jungle. Their characters are Yetis, or monsters, or teen vampires. They mash up genres, create their own genres – anything goes. Adult writers set their novels in suburban houses, average schools; their arguments happen in kitchens. Children set their stories on steam boats crossing the Atlantic, their schools are full of vampire teachers, and they instinctively know that an argument in a crowded airport has far more impact than a fight in a kitchen. We adult writers can learn a lot from young writers. 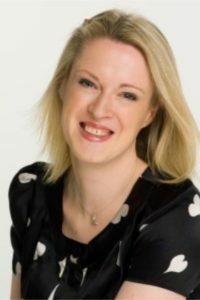 I always tell the adult writers I teach (I also run 1 day workshops for adults who write for children) to be more like young writers – have confidence, be prepared to fail, and think big. And above all, have fun and play on the page! 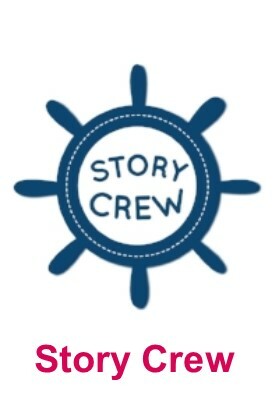 Find out more about Story Crew Writing Clubs and Story Crew Writing Academy here.